No gift is more personal than a photo gift. Pick your favorite photo of you and dad, or one of your family. Can’t decide on one? These gift deals are so good you can afford to buy more than one! 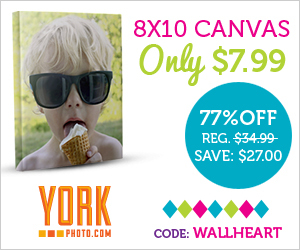 8X10 Canvas Print – Just $7.99 – Save $27! Use Code: WALLHEART Exp. 07-04-2014. 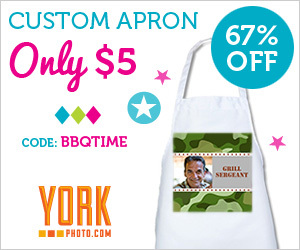 Custom Photo Apron – Just $5 – Save $9.99! Use Code: BBQTIME Exp. 07-09-2014. 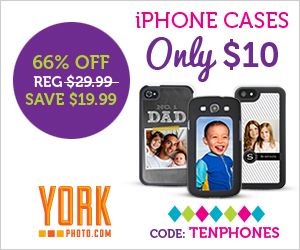 Custom Phone Case – Only $10 – Save 19.99! Use Code: TENPHONES Exp. 06-25-2014. Five 5X7 Prints – Only $1 – 75% Off! Use Code: MOMENTS Exp. 06-04-2014. New Customers Only. S&H Not Included. Quantity Limit 1. One Use. Cannot Combine Coupon Codes.